At BOS we love and care about our partner companies. Companies such as AIS make creating office spaces you love possible. Just brushing the surface, here are some of the BOS team’s favorite things about AIS. “I love that AIS go-to-market is to make great products at great prices and to deliver quickly. AIS, as a company, has not lost its entrepreneurial attitude and the CEO is one call away at all times. This allows BOS to deliver exceptional service to our clients,” said George Pfeiffer, CEO. 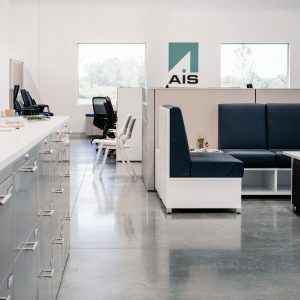 Having that entrepreneurial attitude means everyone at AIS is proud to work for their company and they want their clients to know that they are a part of the team, not a way to make money. BOS is proud to work with such a hardworking company. Carrying that entrepreneurial attitude means everyone at AIS is not only proud to work for their company, but also strive to have their clients know that they are part of a team. Not just a way to make money. BOS is proud to work with such a hardworking company. 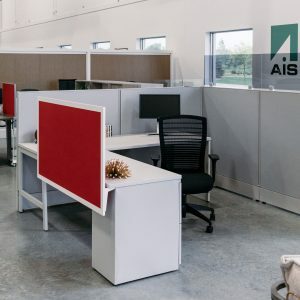 AIS always provides beautifully designed products at affordable prices, and here at BOS we love to offer products to our clients that are at a price point that is realistic for a mid-market budget. “AIS has a whimsical and fun working culture and offers great products at a great price point. A great compliment and fill-in to the Haworth product offering,” said John Fredericks, Vice President. Kristina Peterson, Corporate Accounts Manager, thinks AIS is very innovative with their products, but also cognizant of application. 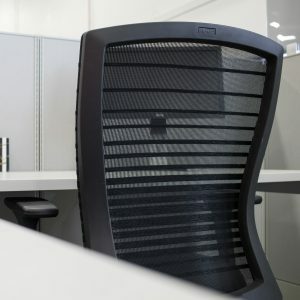 “They have incorporated many access and wire management solutions, such as drop-down panels in modesty panels to access wall power and baskets under surfaces for cords,” said Peterson. AIS realizes office furniture has simultaneous needs of both being aesthetically pleasing and getting the job done. BOS loves the variety of functional office furniture they offer. BOS is proud to be a Best in Class AIS dealership and one of the largest AIS dealers in the country. Talk to a BOS consultant today to learn more about our products and services. We look forward to building a relationship with you!